Belfast Interface Project is a membership organisation developing creative approaches to the regeneration of Belfast's interface or ‘peaceline’ areas. 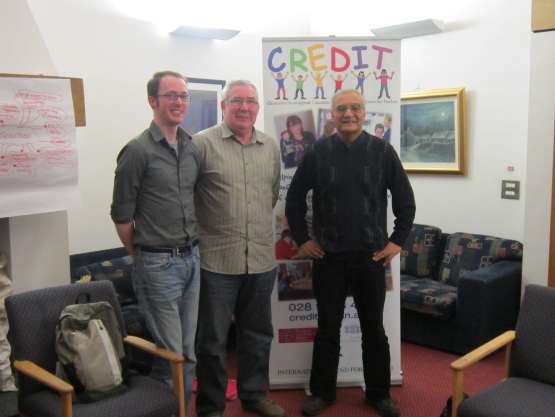 Joe O'Donnell recently sat on the panel at Corrymeela for the CREDIT course which is designed for teachers who are currently involved in community relations work in their schools. View our interactive database of Belfast interfaces, including descriptions, photographs and Google StreetView of all security barriers and defensive uses of space throughout the city. Belfast Interface Project recently participated in an event organised by Belfast Metropolitian College to mark Community Relations Week (20th - 26th May 2013). Belfast Interface Project have launched their updated website as part of Community Relations Week 2013. 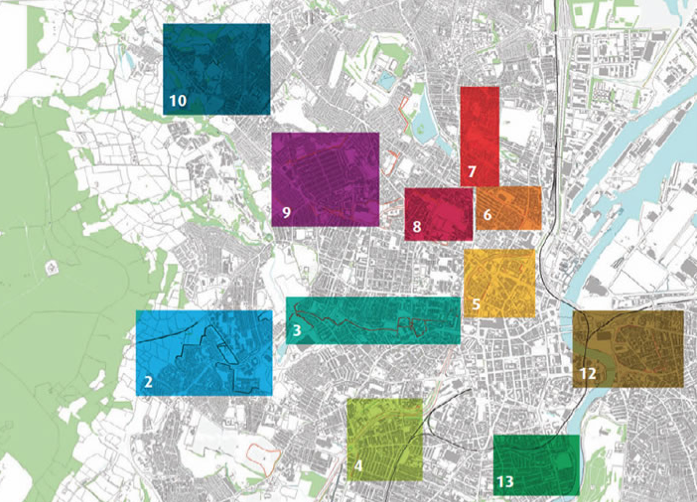 The newly developed website features a uniquely interactive interface map which is based on the recent publication: 'Belfast Interfaces : Security barriers and defensive use of space'. Users can also use the website to enage with BIP's social media network including Facebook, Twitter and YouTube. The Shared Communtiies Programme of the Northern Ireland Housing Exective recently completed survey covering the Short Strand and Lower Newtownards, Lower Castlereagh, Lower Ravenhill and Lower Woodstock Road areas, and measured levels of satisfaction with local facilities and services. On Thursday 30th May at The Mac, Belfast Interface Project presented at a Community Engagement in Education Showcasing and Discussion Event to showcase the different areas of work taking place , and provide a space for further discussion on how to ensure parents and communities are engaged in the ongoing changes in our education system. On November 20th, BIP held a launch event for our new strategic Youth Intervention Programme funded by EU Peace III at Crumlin Road Gaol. This programme aims to bring youth, community workers and statutory agencies across Belfast together to share best practice in working with young people in 8 interface clusters and approx 32 communities. Geographically based interface cluster partnership groups made up of community, voluntary and statutory workers in the local areas will facilitate scoping exercises to identify gaps in youth provision and develop customised action plans in response. Belfast Interface Project's latest publication, 'Belfast Interfaces: Security Barriers and Defensive Use of Space' was successfully launched on Friday 20th January 2012 in the Lord Mayor's Parlour, Belfast CIty Hall. Justice Minister, David Ford MLA was the key note speaker for the event, along with Joe O'Donnell, BIP and Neil Jarman, ICR, and the launch was hosted by the former Lord Mayor of Belfast, Councillor Niall Ó Donnghaile and well attended by BIP members and key stakeholders.